#GB44 ASTROLUX MF01 18xCREE XP-G3/ NICHIA 219C (12klm) Flashlight Group Buy //// ACTIVE! Put me for one 219c please. Would love to hear update on this. All Banggood reps are busy with anniversary sale. We should have more updates after that major event. Please prep your wallet for next month. Are they preparing for aniversary sale? oh man hold on to your wallet. interested, depending on the price…..
Has this thing really a clicky switch? According to specs in the 1st post. Interested, despite the issues others have faeed with the S42. Coole Individualisierung der MF-01 Lexel ! Der Würfel im Würfel im Hintergrund ist von einem User aus diesem Forum? wow. is that a working prototype? thanks I just visited the first page, didn’t notice the new info about the light. Do we already know how much the GB price will be? Some updates from previous discussion. Battery carrier design has finalized. Spring will be shorten to accommodate up to 71mm 18650. 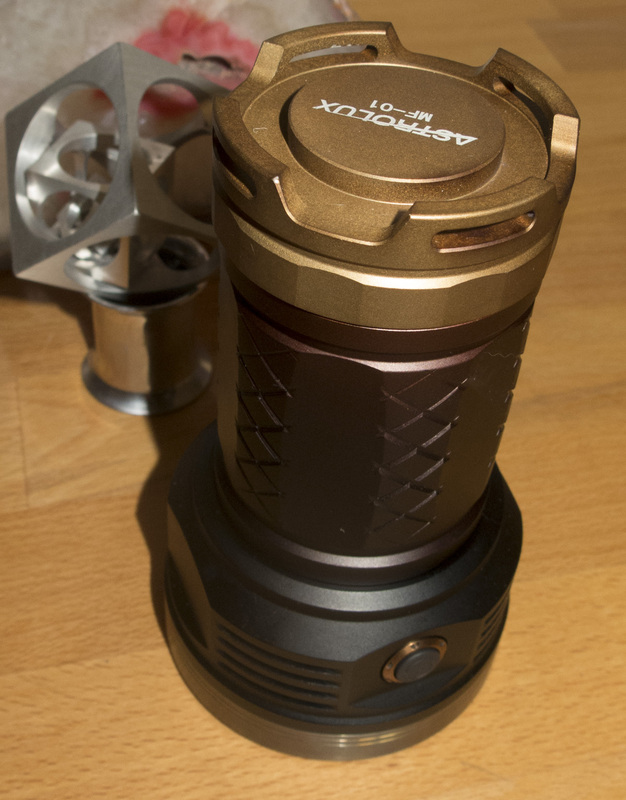 Additional intermediate mode of 1500lm brightness level will be included. We might go with double click to TURBO (while ON) and triple click to Strobe. Retail package will be made more fitting, tape will no longer be required to secure the box's lid.